We are offering reduced fares for coach travel to the Buildbase FA Trophy first round tie at Farsley Celtic on Saturday December 10. We have lowered our prices to £13 members, £10 under 16 members and £16 non-members. 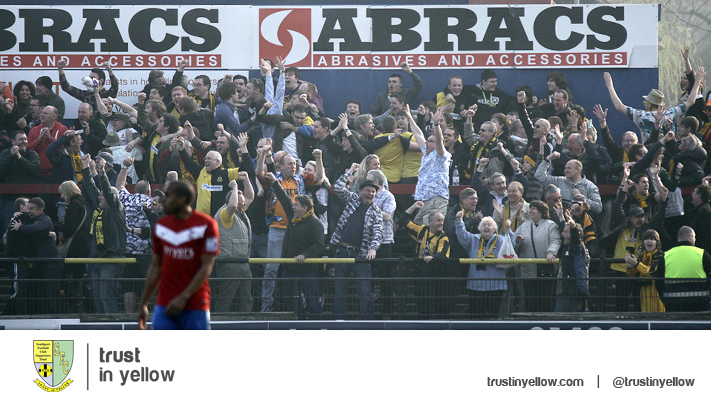 The coach will leave the Merseyrail Community Stadium at 11.30am having picked up at the usual earlier places. The Trust needs bookings as soon as possible. To book, text Bill Sloan on 07952056385 or e-mail him at wjsloan@blueyonder.co.uk. 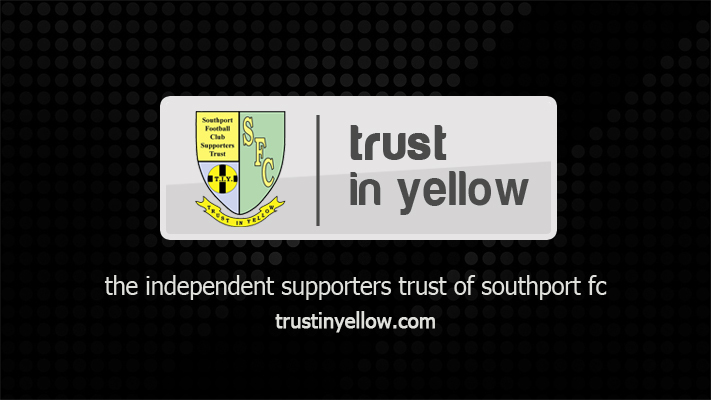 Throughout November, Trust in Yellow has been holding a food collection to help the Southport Soup Kitchen on London Street. 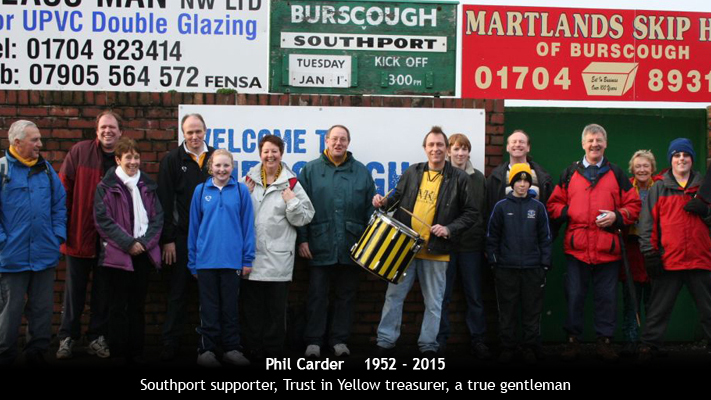 This weekend, with Southport playing their final Saturday home match of the month against Braintree Town, fans are being asked to donate food to help the Soup Kitchen as they approach Christmas and their busiest time of year. The Soup Kitchen is a very worthy cause which provides food and warmth to the local homeless population as well as distributing meals and hampers to vulnerable people within the Southport community. 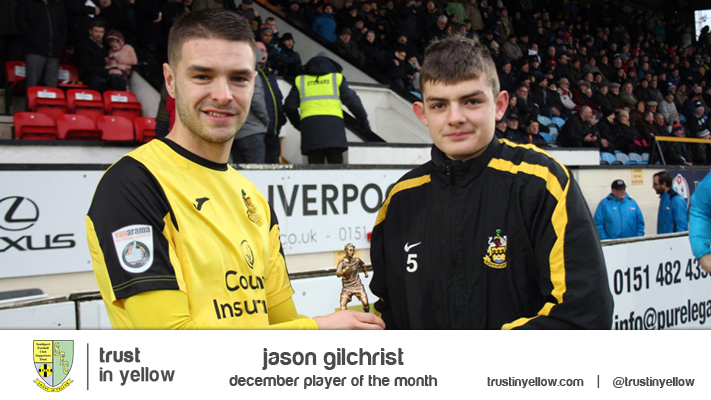 Donations can be made by calling in at the Trust in Yellow office ahead of the match. Any items however, large or small will be very welcome. So get looking in those cupboards. Donations will be accepted in the Trust office at all matches between now and the end of November. 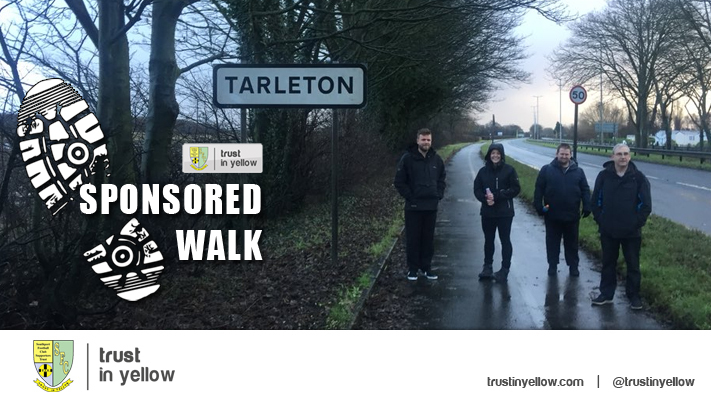 Trust in Yellow’s next Get Involved! event is a night of fun and sporting trivia with They Think It’s All A Question Of Sport this Saturday. A team captained by Liam Watson will go head-to-head with a team of supporters in a quiz which combines elements of television programmes They Think It’s All Over and A Question Of Sport. The event has been put together by Rob Urwin and takes place in the Grandstand Bar from 5.30pm after the match against Braintree Town. It promises to be really good fun and all fans are welcome so please come along. Fleetwood. The Trust's coach to the Emirates FA Cup first round replay is full. Following some cancellations we now have just 5 people on our waiting list so if anyone who has booked finds they can't go please let us know so that we can try to take some of these. At such short notice and with the relatively small numbers of extra enquiries we had it was not possible to organise a second coach and our apologies to those people we could not accommodate. We are sure all supporters realise that all members of the Trust Board are volunteers and give up a great deal of time to organise coaches and other events. Following the childish actions of a few last week we are certain the rules on no flares or smoke bombs at matches and indeed no alcohol on coaches will be strictly enforced. Chester. This coach will definitely run leaving the ground at 5-15pm. The cost is just £10 for members and £13 for non-members We recommend you reserve places as soon as possible.